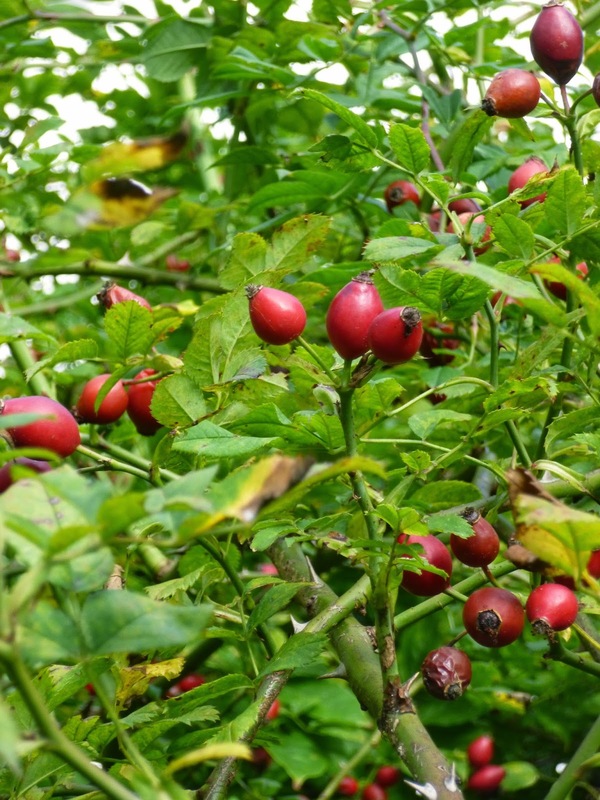 So I was wandering around Amsterdam on a canalside street one day, when what should I see, but a passionvine! 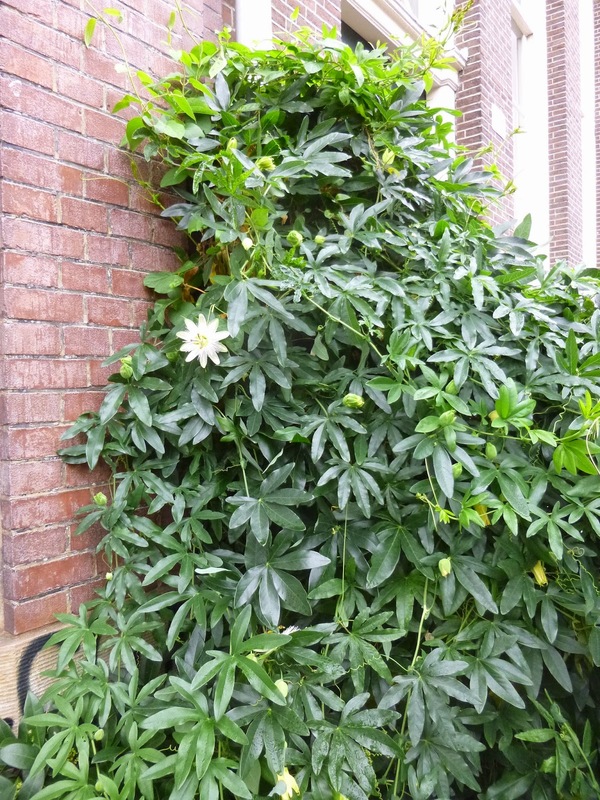 Passion(vine) running rampant on an Amsterdam street! Closeup on the marvelous passionflower. This is not the Tennessee wildflower Passiflora incarnata (which has a purple flower). 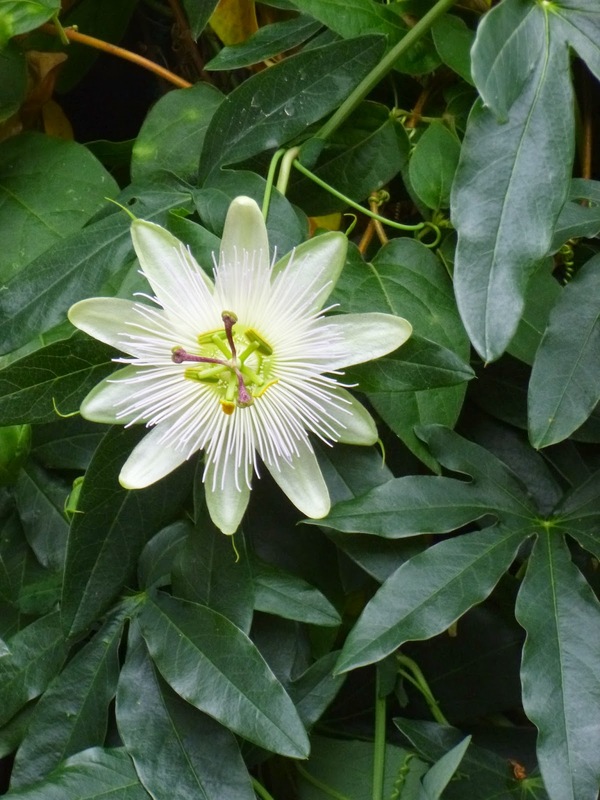 Based on my research at Tradewinds, I think it's actually a white form of the Blue Passionflower (Passiflora caerulea). Confusing? You betcha. 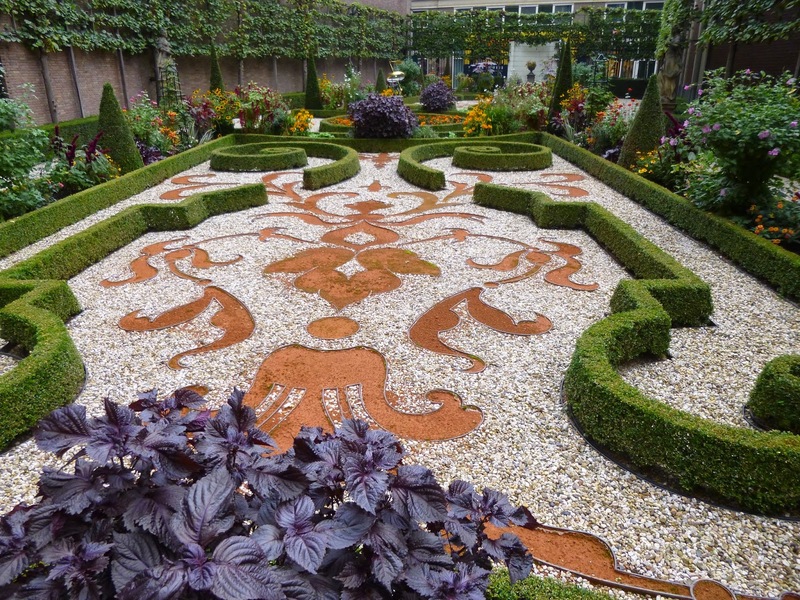 You might see a curvaceous design on a grand scale using gravel and boxwoods and topiary to make an artistic statement. 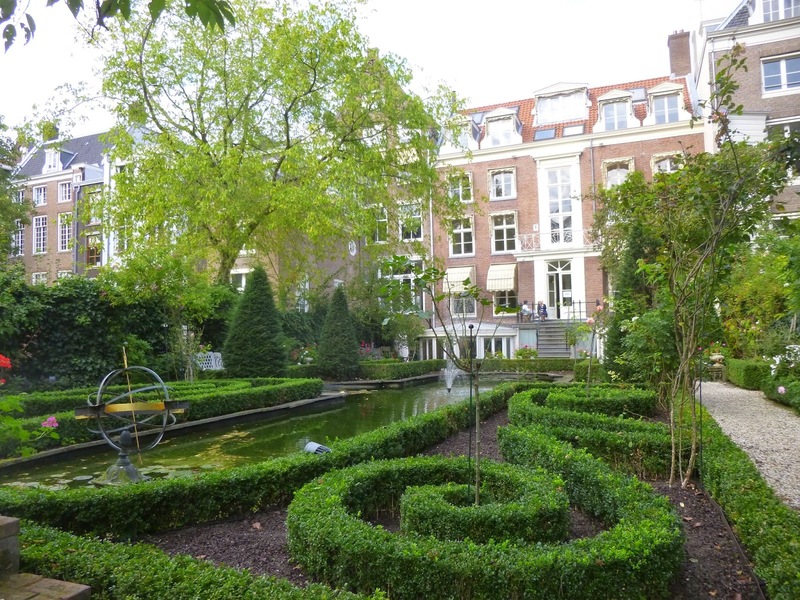 Here's an elevated view of that same garden showing you the carefully espaliered trees along the walls and the hard straight lights of the modern buildings outside the garden juxtaposed against the curves and swirls of the garden itself. 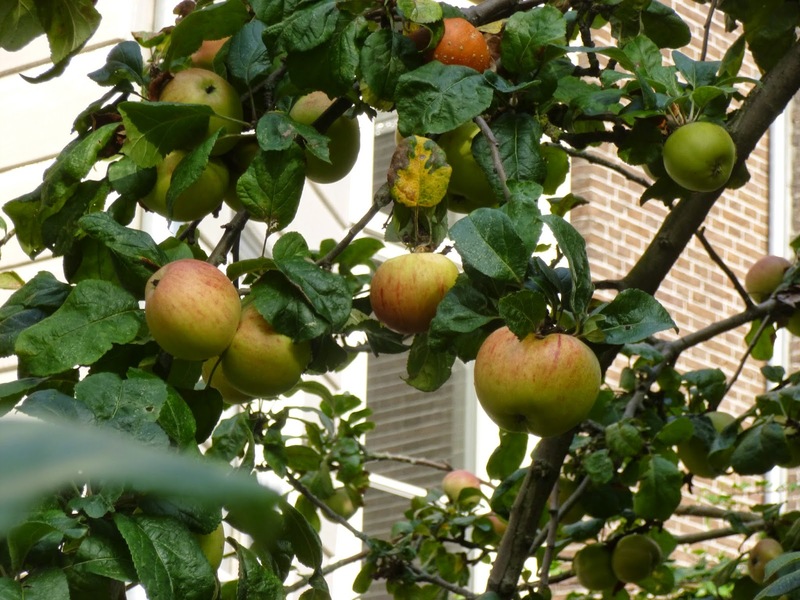 You might see a tree loaded with apples. 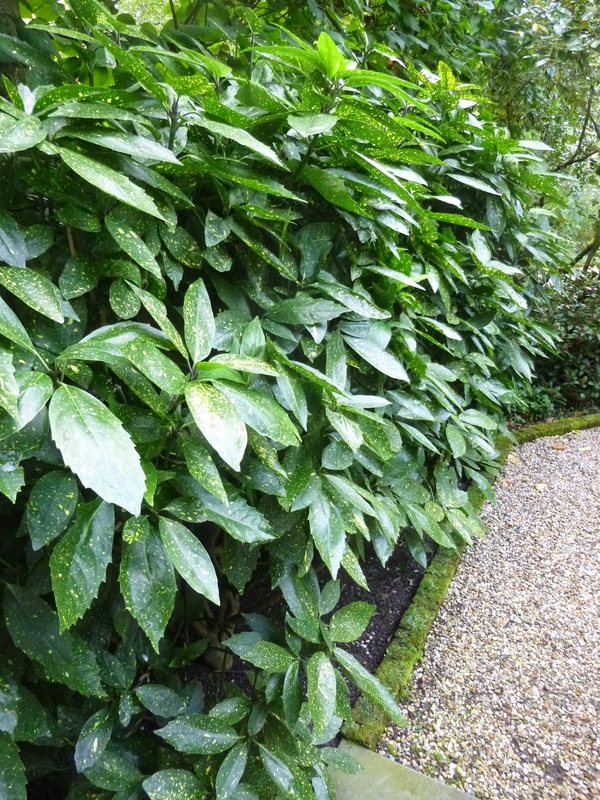 You might see a healthy thick hedge of Aucuba japonica. 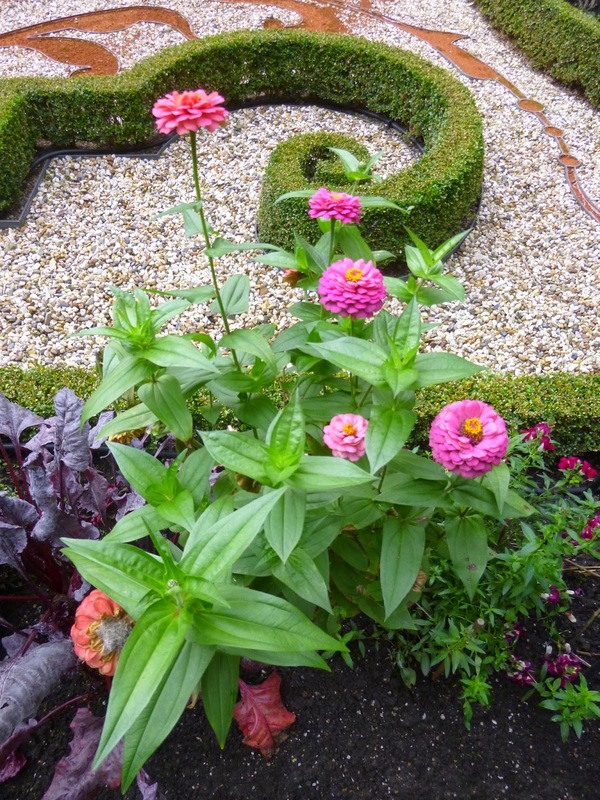 You might see a charming zinnia, which reminded me of home. Another long narrow garden between two rows of townhouses. This one keeps the theme (which they seem to love in both Germany and the Netherlands) of low clipped hedges. 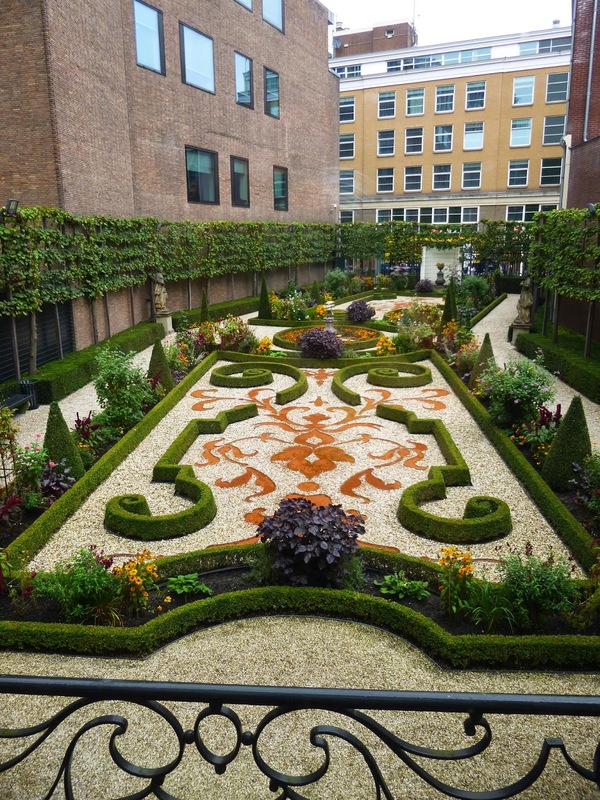 It's got more greenery, less color than the other formal garden. I think the thing I like best about this garden is actually the long pond in the middle of the garden with a small fountain at one end and a globe statue at the other.